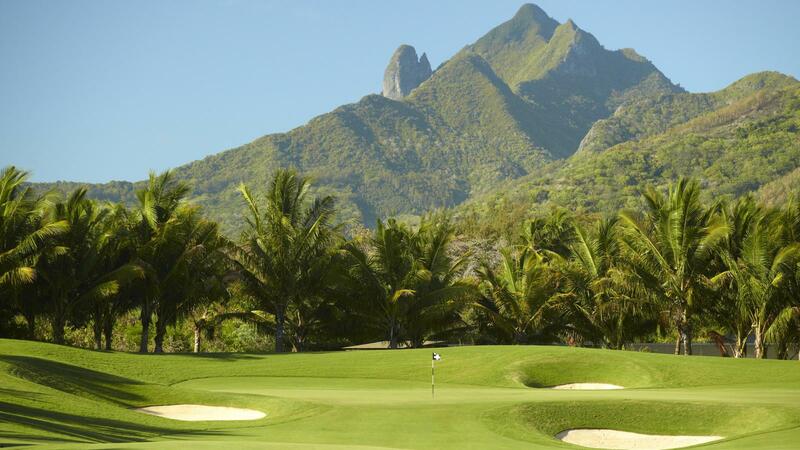 Designed by Ernie Els, the course at Anahita Golf Club is situated on the east coast of Mauritius this spectacular 6828-metre course meanders through its exclusive estate and is carefully woven into the landscape of this tropical sanctuary. It is specially designed to preservethe coastline’s natural beauty, in particular the rich native flora and fauna. With an exceptional view of the Indian Ocean, spectacular rocky outcrops, jaw-dropping views of the mountains and set in the natural setting of lushvegetation with mesmerising beauty and turquoise lagoons. 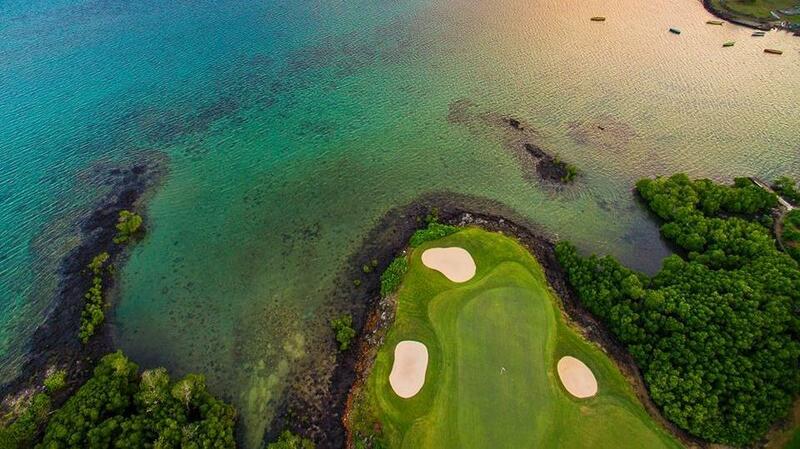 Six stunning oceanside holes offer the world’s most beautiful finish. The Ernie Els course deserved of hosting a major tournament. Up the fairway the lagoon guards the left and a stone ruins protects the right. Thegreen, surrounded by bunkers, presents guests with one final challenge. Only an accurate pitch will rest safely on the putting surface of this par 5. 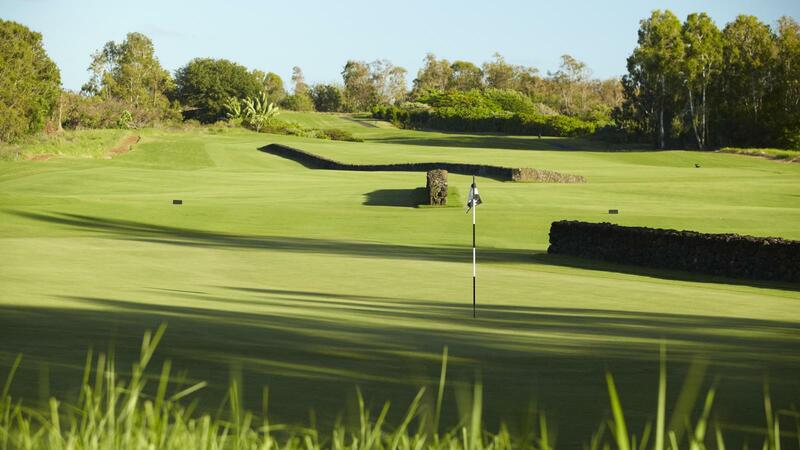 Els himself describes the 18th as one of the best finishing holes in the world. 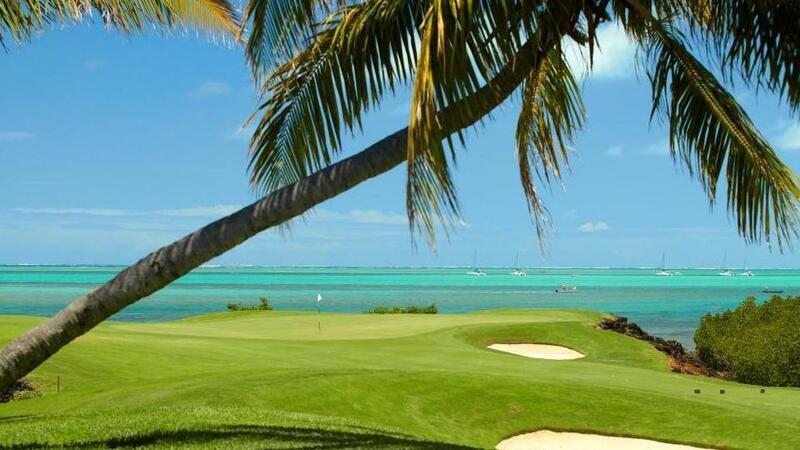 Pass by the Pro Shop for all of the latest clothing and golfing equipment lines or refresh with a relaxed lunch at Il Forno, which offers panoramic 18th-green and lagoon views. Please note: our golf etiquette requires a collared shirt, golf shoes/trainers, and socks. No beach wear allowed. Well kept course. Incredible hospitality/service. Top notch 18 holes!! The whole experience was fantastic from arrival, warm up and the course itself! I absolutely love it! Nice golf course wonderfull panorama. All bunkers where terrible to play. To hard,that means the club coud not go under the ball. Theater at the reception because i had to pay 185 € unfriendly! When i got the confermation from you they must not do that! !